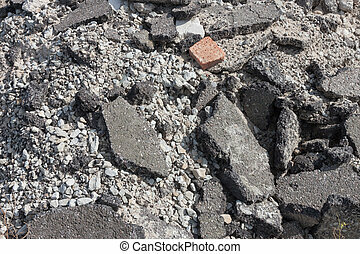 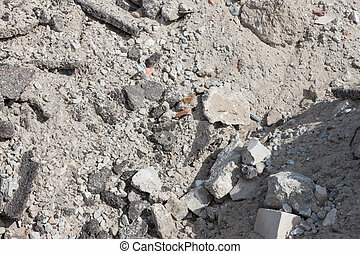 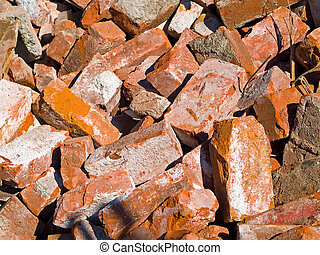 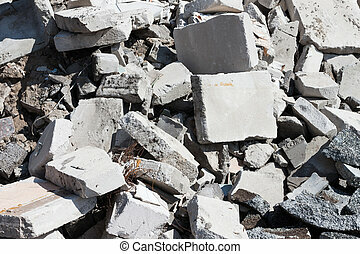 Concrete debris. 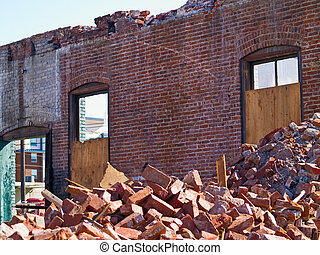 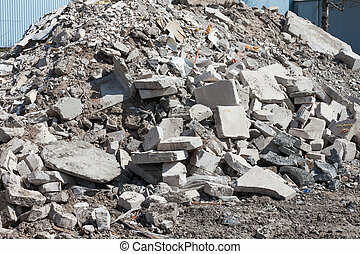 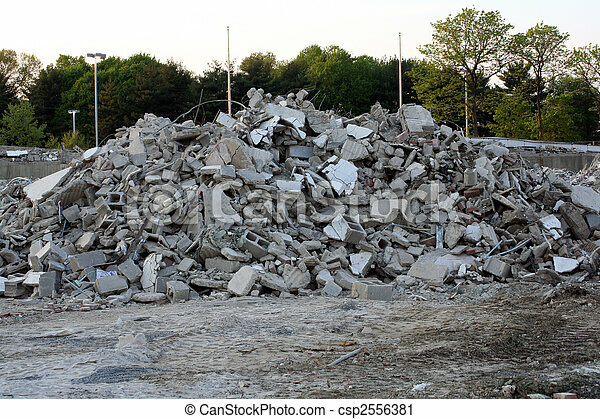 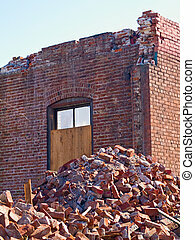 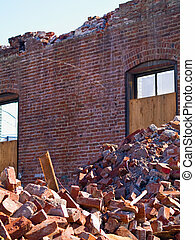 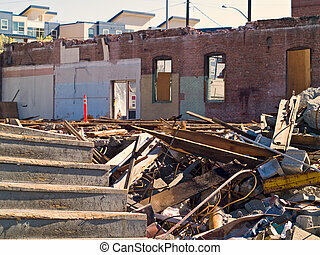 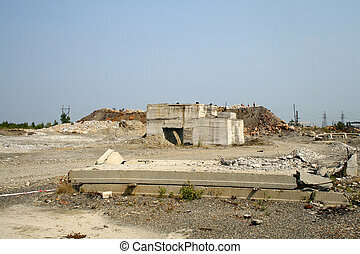 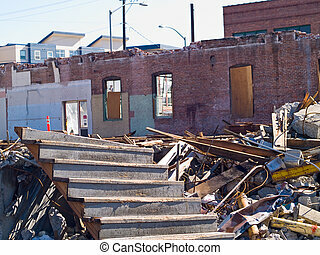 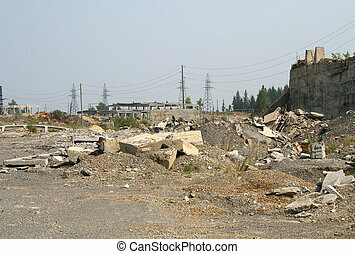 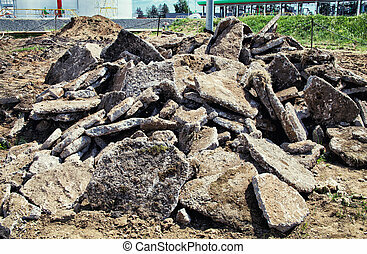 Pile of concrete and cinder blocks at a building demolition site. 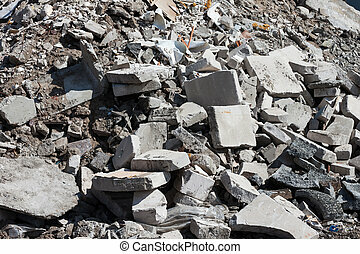 Pile of concrete and cinder blocks at a building demolition site.